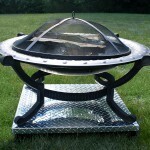 So you have fire pit and you are considering the various topping best suited for your fire pit. 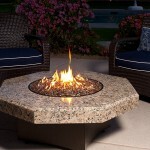 Well, fire glass/ glass beads, Lava rocks and river rock are the main toppings used in fire pits. 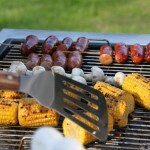 The major advantage with all these toppings is that they do not produce smoke, odor or ashes. Are natural and come in many colors and sizes and characteristics depending on their formation. They are used commonly because are cheap. 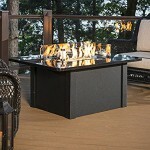 Lava rocks are suited for almost all types of fire pits. 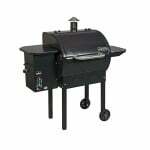 They are good heat resisters and do not discolor over time. 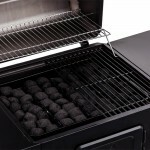 Crushed pea-sized lava rock can be used as a filler for the deep sized fire pits up to the burner level and then the large sized ones on top. Some such as the red lava rock are used for decorative purposes. 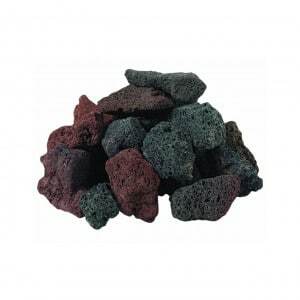 However, be very careful around wet lava rock because being very porous it is likely to absorb moisture which when heated may force it to crack and explode. Ensure therefore your lava rock is absolutely dry before use. Are the most aesthetically appealing and decorative toppings and form the latest addition to the toppings family. 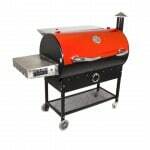 Like lava rock they also come in very many colors and sizes which gives you so many options to chose from. 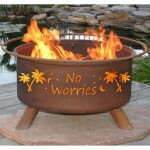 They are heat resistant and you don’t have to worry about explosions as is the case with fire pit rocks and stones. 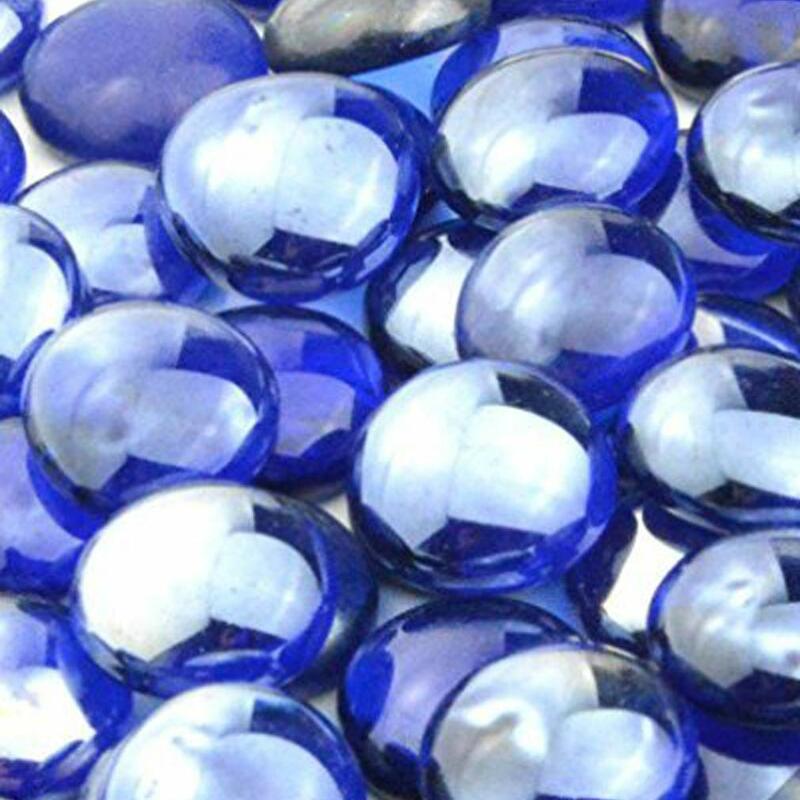 Good quality fire glass and fire beads can go for a long time without discoloring and they burn cleanly so their maintenance is easy too. 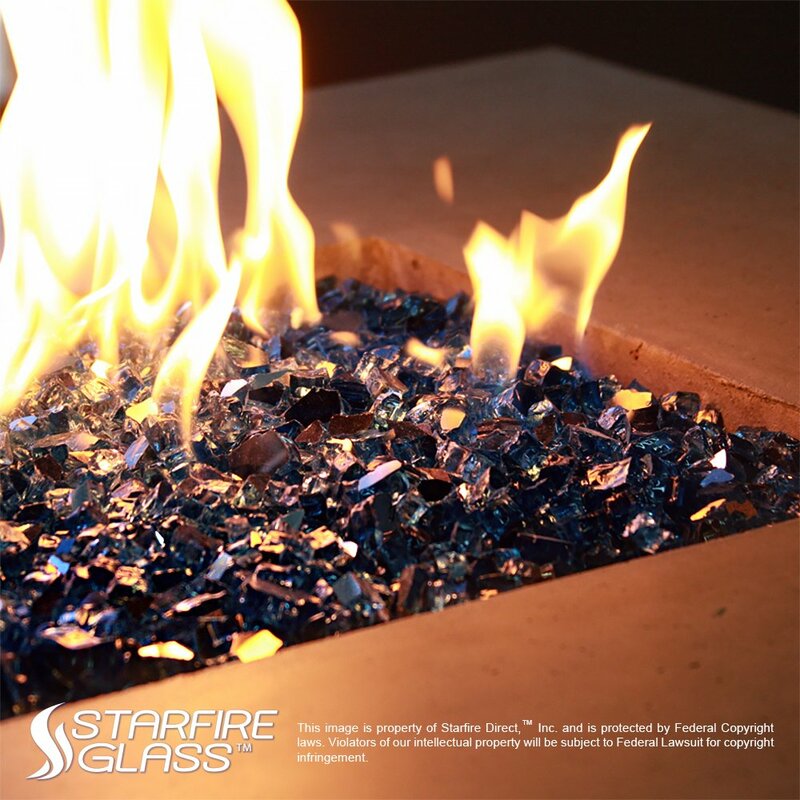 Fire glass is glass which has been tempered in order to make it harder to break or melt. 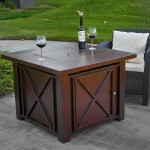 It has been made in such a way that the edges are smooth and safe to touch without the risk of injury. 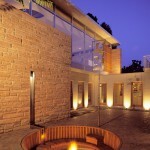 When buying the fire glass you will have the option of selecting the reflective or non reflective fire glass. Reflective fire glass basically reflects light which gives them a sparkle and shine when they illuminate light as fire dances on the glass more than the non reflective kind. Both kinds are popular though. 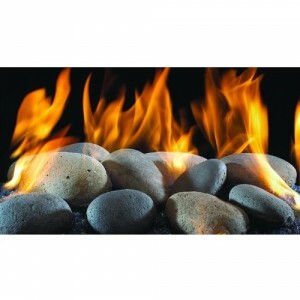 Fire beads and fire glass are both small and uniform which enables them to distribute fire in a nice way. You should however note that not all glass is usable in a fire. Standard glass if used may pop shards out of the fire place which can cause some serious harm, not to mention they emit smoke and an annoying odor. Contrary to what the name suggests are not the ordinary river rocks. I’m talking about the manufactured multi-colored ceramic fiber rocks. They are called ‘river rocks’ because river rock colors are incorporated in their manufacturing process making them look like the real rocks. DO NOT USE the real river rocks or you will have them shattering all over you. River rocks are often large so you will have to place them in the fire pit in such a way that fire will be distributed evenly. 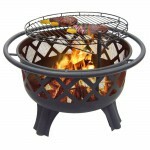 You can use them in conjunction with other fire pit medium for example lava filler with the rocks being at the top. 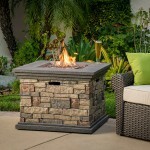 Again,ensure you purchase fire pit rocks from your local dealer. Ever been scared cold because of exploding rocks in your fire pit? Well, was it a learning experience?First of rock explosion comes down to the porosity and permeability of the rock. You see when rock has absorbed air and water into it and you heat the said rock, the water and air molecules trapped in the rocks expands faster than the rock itself. The water turns to steam which in turn puts pressure on the rock. When the pressure is too much for the rock to contain that is when the rock explodes. 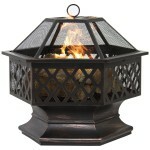 All the above mentioned fire pit toppings not only act as heat dispersion mediums but also serve to enhance the fire and create a visual appeal that is pleasing to the eye. 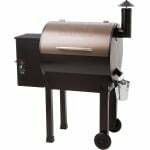 You will find a huge assortment of toppings from stores online so the goal is to choose toppings that best suits your style as well as your fire pit. 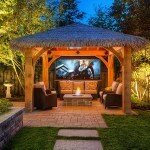 « FIRE PIT CARE- PROTECTING YOUR MONEYS WORTH.